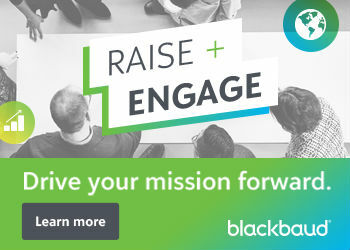 An online community platform is a dedicated place for advocates to have meaningful conversations and create connections around a shared belief in a cause. As the landscape for donor and advocate attention becomes more crowded in 2019, it’s critical for nonprofit organizations to connect with their audiences in more authentic ways. Social media can be an important tool for nonprofits looking to engage with supporters quickly, seamlessly, and effectively. 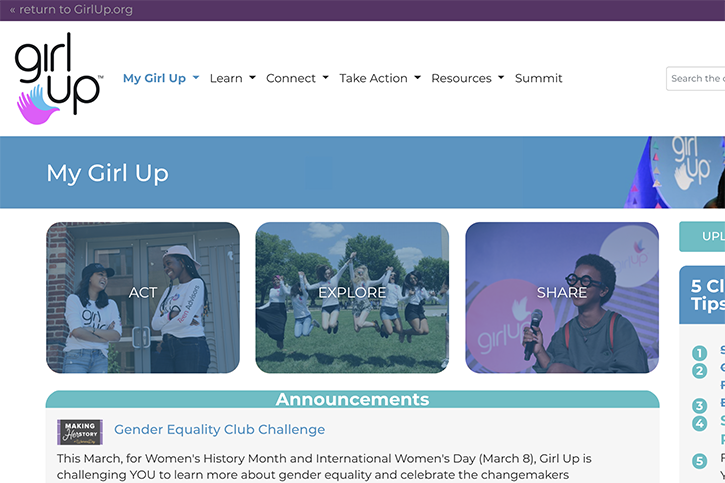 With more than 700,000 followers across their social media sites, Girl Up, a United Nations Foundation initiative uniting girls around the world to advocate for gender equality, has reaped the rewards of a strong social media strategy. Girl Up has used its social channels to draw awareness for its cause, promote its first-ever #girlhero Awards during International Day of the Girl, and share ongoing updates. While social media allows Girl Up to have consistent communication with its supporters, the organization was looking to take their engagement with advocates to the next level. Girl Up launched a dedicated online community platform. Here’s why. For Girl Up, social media has helped the organization tell its story to a broader audience and promote its events around the globe. Through Facebook, Twitter, and most recently Instagram, the organization has showcased the stories of individual girls around the world and highlighted notable public figures and celebrities that lend their support to Girl Up’s cause. It has also provided Girl Up the opportunity to seek user-generated content by using Girl Up-specific hashtags like #DayofTheGirl and #girlhero (among others), encouraging image sharing and input from its followers. Yet, recent changes to the social media landscape have presented challenges for nonprofit organizations. Audience growth on platforms like Facebook have plateaued as new social media sites like Instagram and Snapchat gain popularity among younger generations. Not to mention, changes to algorithms across platforms are making it more difficult to reach those active users from those demographics than ever before. The result? Many nonprofits, who have relied solely on social media as a cost-effective means of driving visibility and engagement, are having to reconsider its role in their strategy to connect with advocates. This is where an online community comes in. An online community platform provides a branded destination for communication, collaboration, and sharing around a cause. It’s a dedicated place for those with common interests – an organization’s advocates – to have meaningful conversations and create connections around a shared belief in their cause. Online community platforms are increasingly diverse, including everything from forums and blogs, to multimedia like photos and videos, gamification for contests and leaderboards, analytics integrations and more. Since its founding in 2010, Girl Up has seen steady growth in its community of supporters. To date, the organization has 3,000 Girl Up Clubs in more than 100 countries, and has trained 48,000 girls to create tangible change around the world. With that growth and breadth of supporters came the need to maintain meaningful conversations with and answer questions from this growing community, with limited staff and resources. Using a dedicated online community has helped to mitigate that challenge. Girl Up launched its online community platform, which is powered by Personify, more than five years ago. Within Girl Up’s online community, supporters interact with each other and have an open dialogue in chat forums – sharing content, perspective and more. For example, community members often use the forums to celebrate fundraising successes or to ask for support, specifically in how to tackle challenges around fundraisers. Some of the most highly engaged content on Girl Up’s community includes thought-provoking hypotheticals like, “If women were given the leadership role in every country, what would the world be like?” This ability to have advocates connect and support each other, instead of always requiring a conversation with a Girl Up representative, provides a deeper sense of community and eases the strain on an organization’s limited capacity. Along with resourcing, online community platforms provide nonprofit organizations with benefits like secure ownership of content, data, and constituent information. In a community, content is created by members, but you are in control of the discussion and content can be searched and used in the future. This means that rich content developed in a community like Girl Up’s can be repurposed by the organization to use in social media, marketing collateral, and more. For example, responses from Girl Up community members on how to tackle fundraising challenges can be packaged and shared as a guide from the organization, or responses from thought-provoking hypotheticals can be used as inspirational Girl Up social media content or thought starters for other community discussions. This has created a more comprehensive 360-experience for Girl Up’s audience – and the organization itself. For Girl Up, a dedicated online community platform has helped drive critical results for the organization. To date, the organization has 1,500 digital clubs in more than 100 countries that help support real world advocacy efforts. Over 11,000 users have a space to collaborate, share successes, and get help when needed. And the community is only growing stronger. Over the first quarter of 2019 alone, the Girl Up community has added more than 1,800 new members and counting – all supporting the organization’s core goals and messages on an owned platform. The online community platform also translated to results for the organization offline. Girl Up was able to grow its offline community, increasing the number of local groups in high schools and colleges by an average of 45% each year. The number of offline actions for social change led by those groups increased by 29% over the last year. Based on the success of the Girl Up online community, the United Nations Foundation launched a second online community with Personify for another program to drive similar engagement and results. When deciding whether to devote efforts to social media or a dedicated online community platform for your organization, the answer is simple – use both. Social media, despite the changing landscape, has value and is useful for certain campaigns and situations – especially capturing the attention of potential donors or volunteers and creating consistent engagement opportunities with a broader audience. Once they’re engaged on social media, this audience can convert into an online community for members of your organization. If you make this transition successfully, social media can act as an acquisition tool and your dedicated online community can be your engagement and retention tool, providing rich opportunities for dialogue and conversation, and helping to further your organization’s mission. On its own, social media is no longer enough to engage supporters, build trust and ultimately grow as an organization. Like Girl Up, today’s organizations should consider new methods to create transparency, increase authenticity, and build lasting relationships with their advocates. 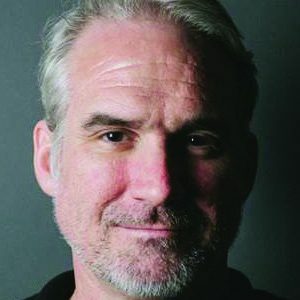 Matt Ott is Director of Community Strategy at Personify, where he helps associations and nonprofit organizations create connections, spark conversations, and deepen relationships with their members, donors, and constituents. With more than 20 years of marketing and design experience for Fortune 500 companies, mom-and-pop businesses and nonprofit organizations, Matt’s marketing and design background is grounded in finding what truly works for both the client and the market. Matt has co-founded two nonprofits to help Austin’s local music community: the Austin Music Foundation (AMF) and Black Fret. AMF has provided thousands of musicians with business education and mentoring opportunities and Black Fret has awarded and paid over 1.5 million to Austin, Texas musicians in just the last five years via an innovative member-based model.